We have humble beginnings in Boulder, CO. Fred hasn’t been selling his products commercially for very long. He first started offering it as gifts to his postal patrons and co-workers, people from many walks of life and with a wide variety of skin concerns. When they experienced its effectiveness first hand, many of them suggested that he should start selling it at local shops. He was honored by their respect and confidence, which is what convinced him to take the next step. We thank all his fans for their trust, support and belief in him and his products. We hope to earn the trust of many, many more people looking for the relief so many have found. We hope you’re one of them. 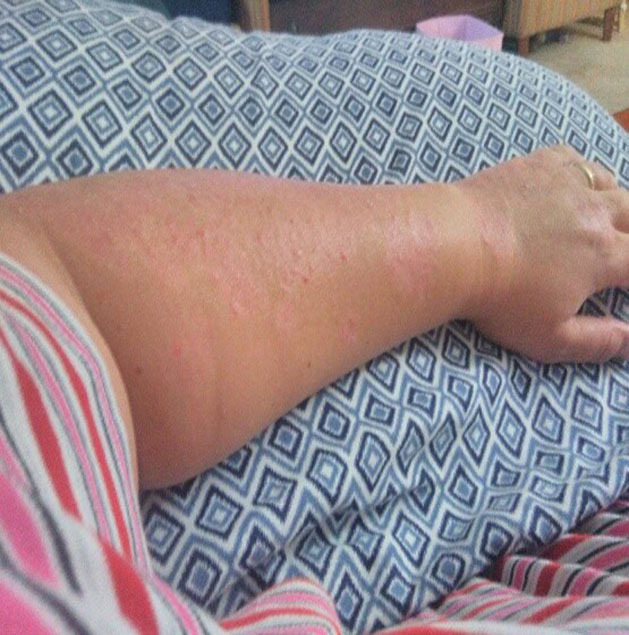 Psoriasis affected arm before treatment with Uncle Freddie’s Satin Crack Salve. 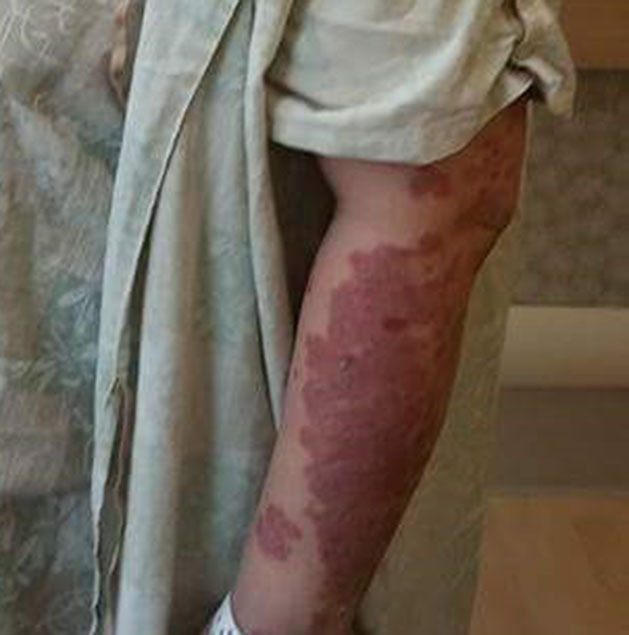 The same arm five weeks after beginning Uncle Freddie’s Satin Crack Salve. Share your thoughts or concerns, ask a question or share your testimonial. We want to hear from you!